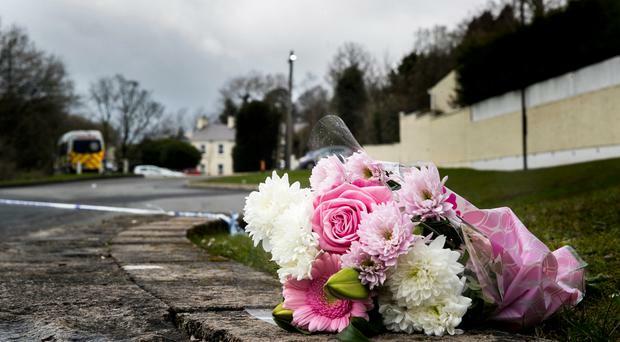 Flowers outside the Greenvale Hotel in Cookstown, Co Tyrone, in Northern Ireland where three young people have died at a party that was being hosted at the hotel on St Patrick's Day evening. 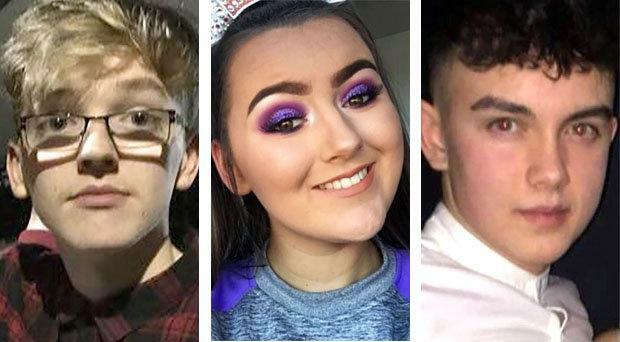 Two men have been arrested in connection with the deaths of three teenagers at the Greenvale Hotel in Cookstown on St Patrick's Day. The pair, aged 52 and 40, were arrested earlier on Tuesday on suspicion of manslaughter. Conor Currie (16) died during a crush at the event. Lauren Bullock (17) and Morgan Barnard (17) also passed away following the incident. Both men have been taken to Dungannon Custody Suite for questioning. A major investigation into the deaths was launched on Monday. At a press conference on Tuesday Detective Chief Superintendent Raymond Murray said that police had already spoken to over 160 witnesses and would be speaking to more in the coming days. He said that police wanted to speak to as many people as possible and that young people would not be punished for trying to enter a licensed premises while underage. "This was an event that should have been a celebration and it turned into any parents' worst nightmare," Detective Chief Superintendent Murray said.